Before leaving for Africa (well really, before my decision to go to Africa), my day-to-day, week-to-week existence was feeling a bit lacking. Stuck in a rut at my job, feeling like the negativity was influencing me more than I was influencing it. Not in a fruitful relationship with God. Retreating from really connecting and going to the virtual world (i.e. watching TV online) as a means of “comfort” – although I wouldn’t ever admit to you my need to be comforted. God immediately showed me that this was a good decision. (Remember those Carmen Sandiego clues that you are on the right track?) The biggest hint was his complete and total blessing of my fundraising efforts. On my birthday, I posted a link on Facebook to a fundraising site to help with my plane ticket to Uganda. Almost immediately, I started getting notifications of the generous donations of family and friends – in a week I raised more than enough for my ticket through minimal effort on my part! I was overwhelmed, honestly. Getting closer to the trip, my focus became another thing close to God’s heart – the kids. My “eyes were opened” to all the things I wanted (well and we were asked) to bring to them, backpacks, notebooks, shoes, etc. 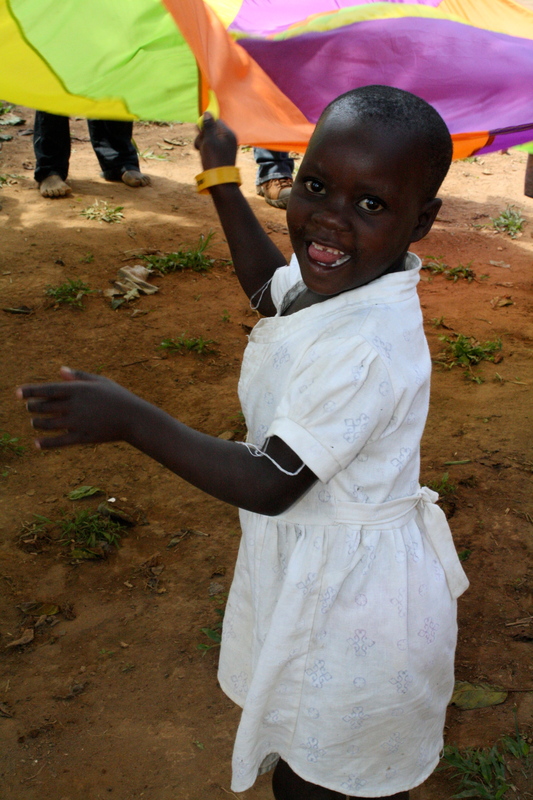 It brought joy to my heart to find something and picture it on a beautiful African child. God blessed my roommate and I’s efforts to collect – we filled four suitcases (with the gracious generosity of the airlines help to let us go a little over the fifty pound limit) to exactly 52 pounds each. Our arrival at the airport – (See my mom’s related article, A Rich Welcome!) We were greeting by a sign, singing, and a flurry of disciples warmly welcoming us with smiles and hugs. After a long flight, this was simply overwhelming – I was brought to tears. Our gracious hosts – They really made things much more comfortable for us than I imagined. We had our own chef, driver, and a fleet of disciples who joined us for the majority of the time in Kampala and Kalagala (the island we visited to build a school). We were constantly being served, loved and looked after. And to think they kept thanking us for coming! 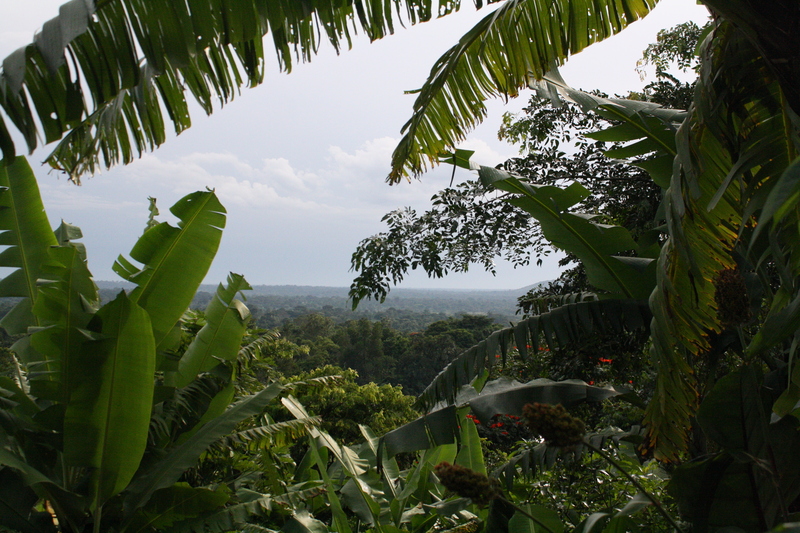 Uganda – a tropical paradise! 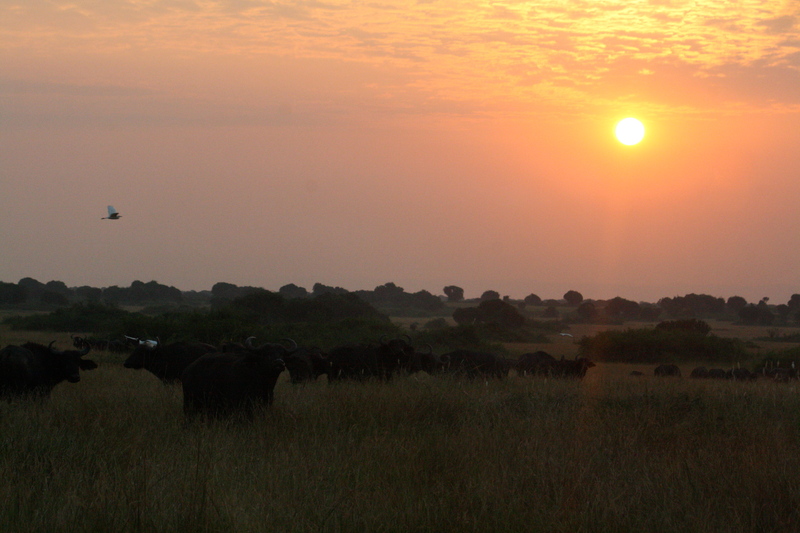 The simplicity and beauty of our surroundings — Uganda is truly a beautiful country – lush landscapes and rolling hills. Reminded me of Hawaii! But more than just the nature, but also the simple beauty as we passed through small villages and saw the faces of children light up as they saw a bus full of muzungu (white people) pass by! The lessons, singing and fellowship— Each morning we began with a devotional led by a different member of the group – helping us turn on our “spiritual sense” for the day. A lesson by our brother Steve particularly stuck out to me about the renewal of our minds – allowing our thinking to be transformed by the experience. 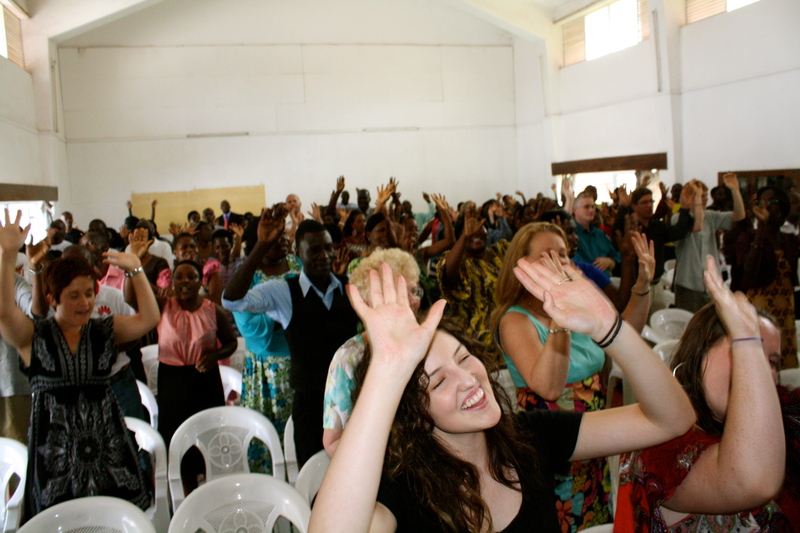 Powerful Singing at church in Kampala. Before each meal, we sang our trip anthem, “Create in me a Clean Heart.” I think this was the order of each day, constant cleansing. The singing at the church services was something I was looking forward to, and it also didn’t disappoint: complete with drums, dancing and loud yelling of sounds that are hard to describe but beautiful! So many disciples shared their stories with me. Stories of extreme hardships growing up under a regime where you often didn’t know if your father was going to return home at the end of the day. Those who had lost parents, or who had to shun the spiritual traditions of their families and the culture. I was inspired by the faith of many! Overall, I would say that for me the trip was a reminder of those simple things that are good. In all of the above and many more experiences – ask me for more stories if you want them – it wasn’t too difficult to discern what was good, because we were surrounded by it! I was reminded that true riches do not come in the abundance of the things, or constant entertainment. They come in the beauty of the African night sky, the innocence of a child who just wanted to touch my skin and hair, the fellowship with believers. I actually came to Starbucks today thinking I was going to write about going to the slum in Nairobi, Kenya (a story coming soon, I promise!) but I was led to this scripture in Hebrews instead. So where does that leave me? Choosing to leave my newly awakened “spiritual senses” turned on. And that means being open to where that leads, even if it is not a comfortable place — because I am confident it will be a good place! Brought tears to my eyes…sounds like a wonderful, growing experience. btw, You’re quite the writer. Enjoyed reading from you Bekah! I like the part “…true riches dont come from the abundance…” God will lead you and us all to where that good place is because he promised! I hope HE makes it complete for you to realize the good from the bad and how far he has brought you and still bringing you.